It's time for my 6th annual cycling challenge. It’s time for my 6th annual cycling challenge. Yes, the same main goal as 2009. It’s what I like to do: Explore the mountains while cycling uphill. – Repeat climbs won’t count, but the other side of big climbs is fine. Along with the usual big climbs near me, I hope to get back to the French Pyrénées and the Dolomites in Italy. * For example, Alpe d’Huez isn’t a pass but it would count. This is a bit harder than it sounds as there aren’t really flat rides here. Yikes. I am a little scared of this idea, but have already registered – and I am too cheap to not show up. climb of the day: Alpe d’Huez. The difficulty is daunting enough, but equally for me, the 40+ kilometre descent from Galibier to the base of Alpe d’Huez through 10 tunnels is terrifying. Training for this should keep me motivated. 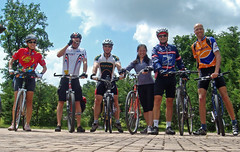 I am hoping that some of my cycling partners will sign up as well (hint, hint). 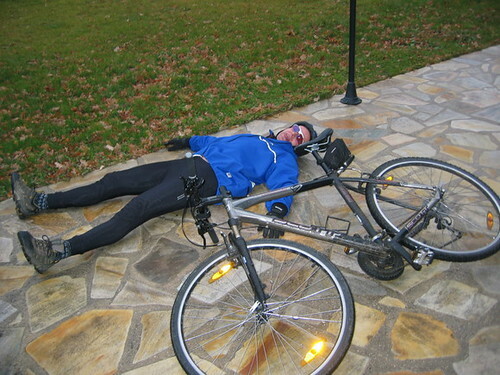 As preparation, I have also signed up for “La Ventoux” in early June. Update: Race report. I just wanted to again say a big “Thanks” to Doreen and everyone else that has tolerated my “Challenges” and given me so much encouragement. These silly challenges keep me motivated, fitter and (generally) cheerful. I have accumulated an ever growing collection of memorable experiences. And the best memories are those achieved with friends. Great goals to have! Good luck! And Happy New Year! BONNE ANNÉE et bon courage pour tous ces objectifs 2010 ! Bonne idée d’ajouter l’endurance avec ces 100km, je pense que les longues sorties peuvent être aussi excitantes que les belles montées…et même si ce sera effectivement + difficile à organiser dans ta région. 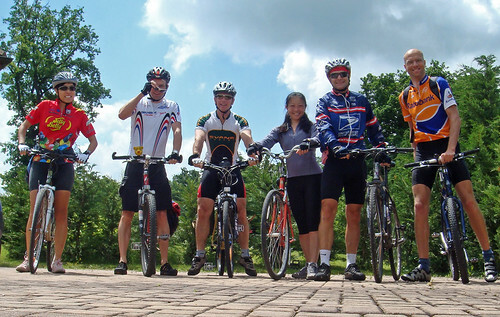 I love your 2010 challenge…especially 1 metric century per month — that should keep you motivated (read: tense) throughout the year!! Remember, if ever you want to do one of those centuries at a slower than snail’s pace, I volunteer to accompany you Annecy – Albertville!! Love these goals! 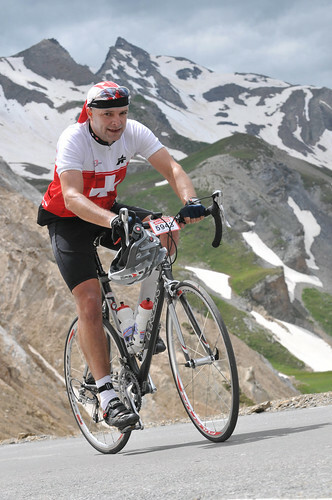 They’ve motivated me to return to La Marmotte in 2010, and enjoy all of the suffering required to train for it! Have a fantastic crank-turning 2010. Judging by how much you overshot your 2009 goals, these should be easy. Even the weight loss one. Good luck, and Happy New Year! 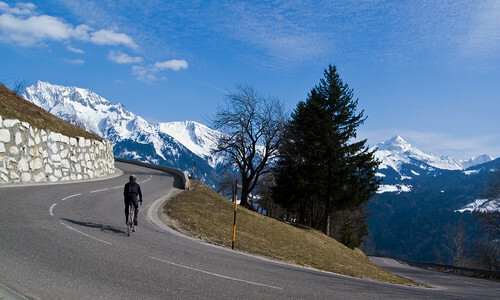 Now to find my courage to register and ride La Marmotte as part of the 8000-2 again… yikes! Will, first of all, Happy New Year to your family and you! And congratulations for the great achievement in 2009. More than 200 climbs in a year is quite an astonishing feat! Your 2010 Challenge looks really good. The only thing I’d think about adding would be a little bit of height… How? You have committing yourself to do at least 20 2000+ meter passes. Why not trying to add… say 3 3000+ meter cols? Of course, that would require you to do more mountain biking, but it would be fun to break the 3000 meter barrier, wouldn’t it? Sprocketboy, extend your June Pyrénées visit and join us for La Marmotte? Très bonne année 2010 ! Elle s’annonce riche en nouvelles sorties de vélo, moi qui me demandait si tu n’allais pas commencé à en avoir un peu marre, surtout que comme tu le dis, il n’y a plus beaucoup de cols à faire près de chez toi (des routiers, car les autres, il y en a encore …). C’est bien, je vais suivre ces aventures 🙂 Bonne chance pour les cyclos, mais avec tous ces objectifs, je ne doute pas que tu arriveras préparé et en forme sur la ligne de départ. Nice one William 🙂 It was fun sharing some of 2009 with you. Hopefully we’ll be able to meet up with eachother up some mountain in 2010. Will, on the 3000+ meter passes topic, I do unfortunately not have anything precise in mind. But there are certainly plenty of possibilities with the mountain bike, both in Valais and Haute-Savoie. On the bike I have yet to pass something higher than Iseran and Bonnette but will try to break the 3000 meter barrier this year. Perhaps this could become some sort of a project? Gosh what an amzing year you have planned. Sitting in London at the moment – I’m green with envy !! The Col du Galibier via Télégraphe ride is fantastic. It’s tough but a really incredible ride. In 2007 I rode the entire route of the Tour de France one day ahead of the pro’s and they were on one of the stages. It was a tough but truly memorable day. Very well chosen bike challenge. I would love to cycle with you. I’ll be in Annecy from 29/5 to 5/6 again this year. Great list, except the weight loss. Bah weight loss! 100 different Cols! Man that’s really a lot of cols. Very impressive. 100 km – i joined a club this year and they do a lot flatter rides than what i normally do, so sometimes after riding with them i continue on and climb a nearby mtn, and get some more kilometers to get up to 100k – i already have a bunch of metric centuries (for me) this year. That thing about 2005 and 10k kms with no 100km rides is amazing! By the way – down here, if you’re looking for new cols: Braus, Ablé (normally in combination with Braus), Turini (this also often added to Braus, Ablé), Madone, Vence, Madone d’Utelle (not a col but a mtn top), Cayolle, Col de Champs (gorgeous), Couillole (really lovely ride), de la Porte (paris-nice), – i’m missing some important ones plus of course lots of little ones. There are a couple just this side of la Bonette that i am forgetting the name of. Yes, I will someday have a shot at some of those Cols (I have done Cayolle a couple of times – terrific climb). Ha, yes, 2005 was bizarre. I was new to cycling and didn’t realize I could actually accomplish longer stuff. I nearly went crazy doing endless 40 kms rides. 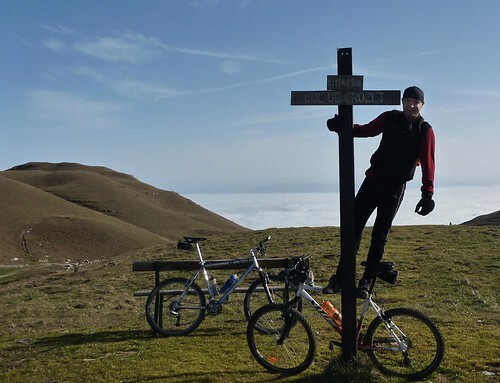 I haven’t done Cayolle yet – people often do a 3 col loop – Cayolle, Champs, and Allos – i will definitely do that sometime this year. And my goal: to climb like Will!